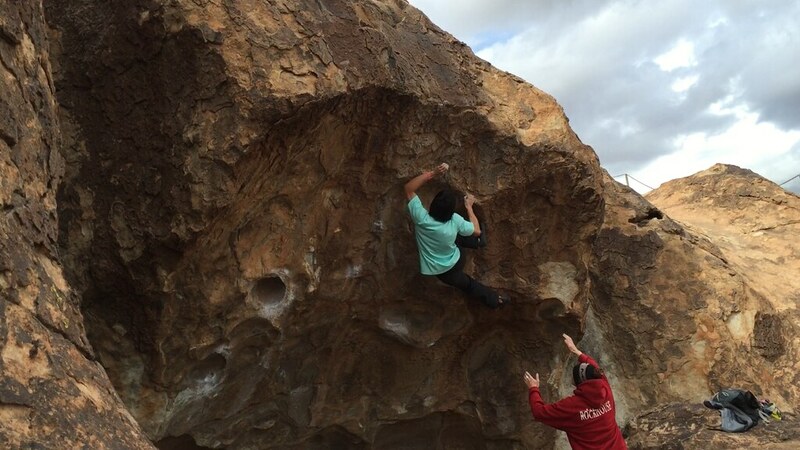 Daniel Fong on his recent trip to Hueco Tanks State Park. Years before he was coaching kids at Planet Granite San Francisco, Daniel Fong started climbing for the first time at a small gym in San Rafael. He was 12 and it was the beginning of a long road he’s still journeying forward on, one he started at a time when he couldn’t finish a V0. He still remembers when his mom bought him a chalk bag for finishing his first 5.9. More than a decade later, he’s blossomed as a talented and powerful boulderer. He’s recently returned from Hueco Tanks State Park, where he’s sent almost a dozen classic double-digit boulder problems. Daniel found his way to Planet Granite in high school, climbing in the gym during the week and at local favorites Mickey’s Beach, Castle Rock, and Indian Rock, before moving to Los Angeles to attend UCLA. He credits his experience at UCLA as really helping him develop as a climber. Being incredibly close to Bishop, Joshua Tree, and the Tramway allowed him access to the spots themselves—but it was veteran climbers he met who helped guide and push him. Soon Daniel was pushing himself more and learning when the right conditions for climbing were. Daniel on ‘Bleeding Brothers’ (V12), Hueco Tanks. As Daniel continued at UCLA he also found himself outside at Tramway, a classic climbing spot near San Diego. Soon he was touring other climbers from the UCLA climbing club around the area, and then, visiting new areas himself with other climbers. From the guide book-less Black Mountain, to hitting Bishop every weekend while it was in season, Daniel was always outside. After he graduated from UCLA with an Environmental Science degree, Daniel returned to the Bay Area, taking jobs with Planet Granite as a coach, and with the Presidio Trust, where he helps provide first-time camping experiences to underprivileged youth. 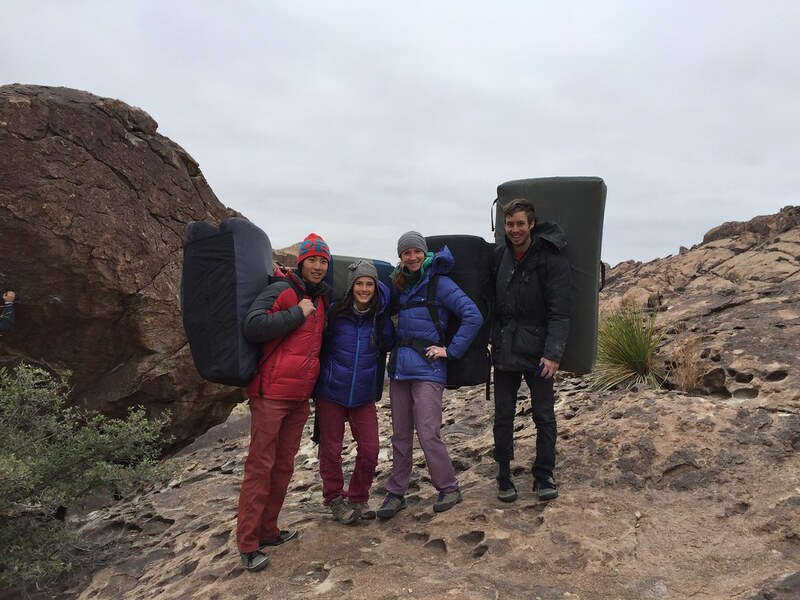 Daniel with girlfriend Dorian and friends Caitlin and Conor in Hueco Tanks State Park. In his work as a coach at Planet Granite San Francisco, Daniel teaches young climbers similar values, but more varied sets of skills. He helps climbers develop both technique and strength. Overall, Daniel is focused on improving himself as a climber, staying healthy, and sharing his knowledge with other young climbers. Daniel locking in the knee bar on ‘Loaded Direct’ (V12), Hueco Tanks. 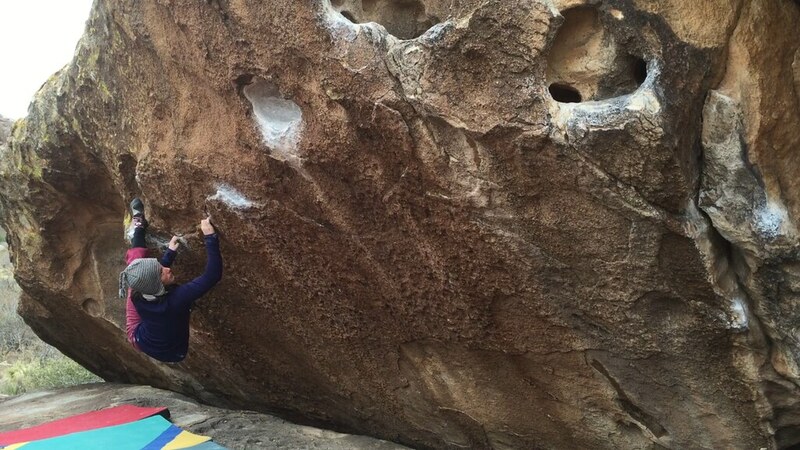 As for his recent trip to Hueco, Daniel said it’s the features and character of Hueco’s rock that make it a climbing destination and a unique experience. Hueco’s rock leads to movement and technique from knee bars to toe hooks you wouldn’t find anywhere else, often all in just one problem. 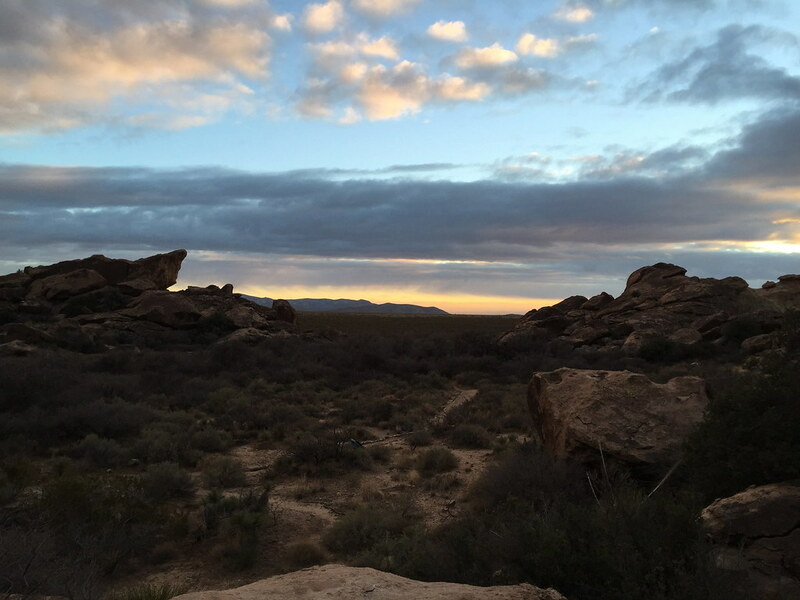 The Hueco landscape in all its glory. “The climbing is really interesting because it’s so three-dimensional. 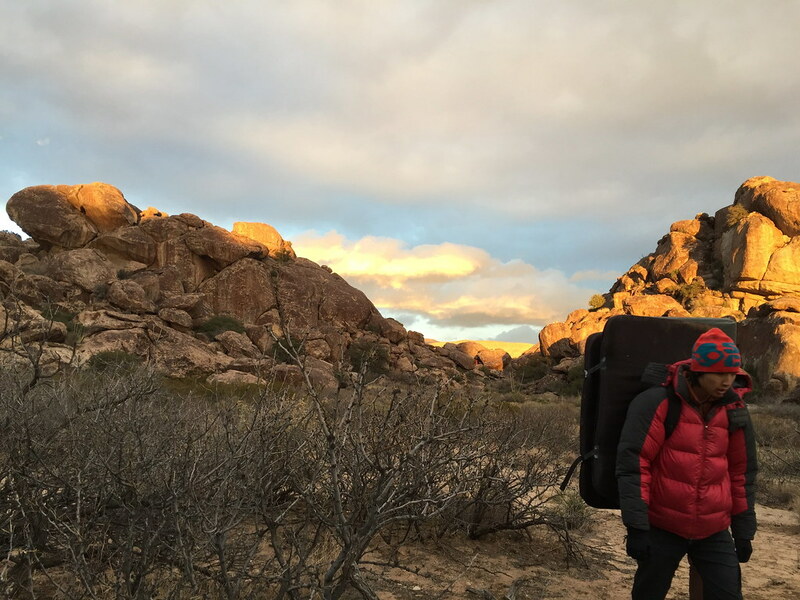 You think about climbing as a three dimensional activity even when you’re on a vertical face, but it’s really, really not like the three-dimensional you find in Hueco, because you can be throwing backwards over your head because of the different features,” said Daniel. 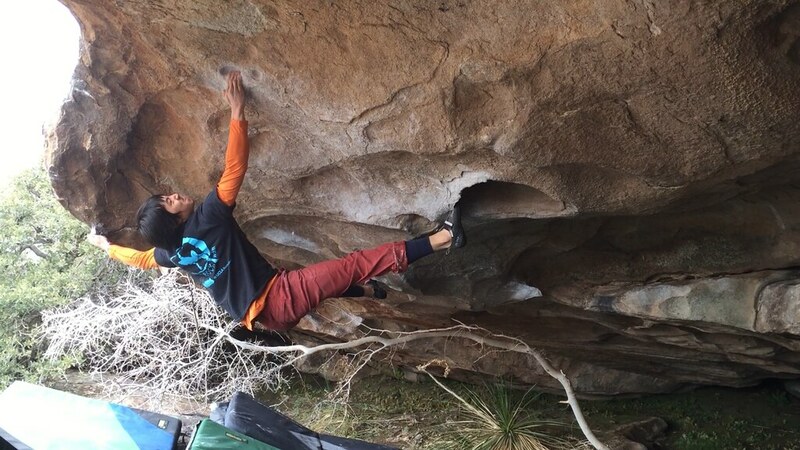 Dorian on ‘Animal Acts’ (V5), Hueco Tanks. As this piece was written Daniel sent ‘Direction’ and ‘The Swarm’, both V13s in Bishop, California.